I was in Budapest to the shop and bought some more parts but not all I needed because I could not find all. It was a nice meeting, were can I see the pictures? Go there and buy new cables. 90 cm is OK.
Cím: Kecskemét, Szent László krt. 29.
yes he did and everything was OK, prices, communication, honest man. Delivery was a bit of a problem but he was very understanding and helpful. 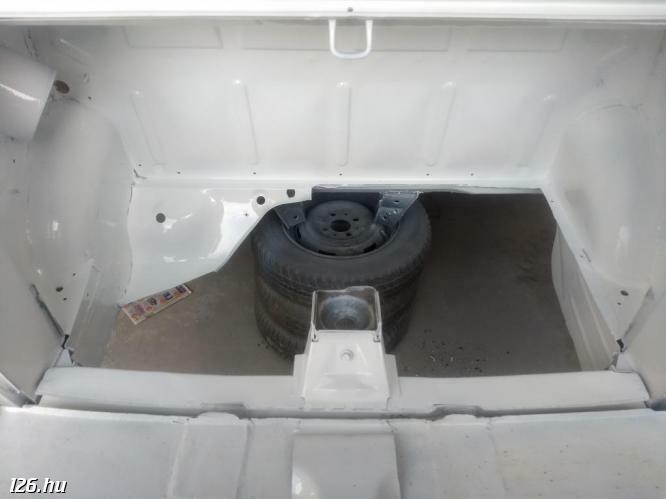 Thank you for the help, I start the work on car and hopefully we will see each other at the meeting and drink something. I hope, they can help to you! We will organize the meeting in July (16-19.07), the details coming soon! I have sent an e-mail to csakapolski and he already reply, he is leaving on 29.03.15. Thank you for the contact details I heard there is a meeting in July? 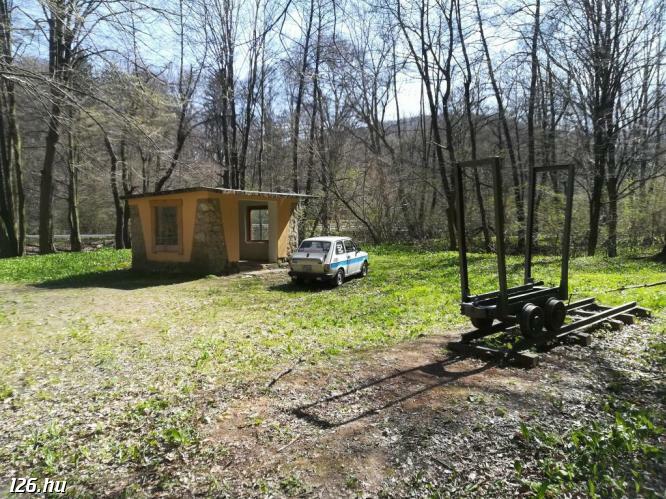 unfortunately there are always less shops in Hungary, which could purchase fiat 126 parts. But two of our members, Gyula Obrotka and Gábor Katona travels often to Poland to buy new parts. Maybe they could help to you. They going to go for next trip in few weeks. Hello again, does anyone know a shop in Makó for fiat parts? A website or e-mail? Thank you. and another thing, how is it called the aluminium frame from the door window? Not the small triangle but the inner and outer frame of the window. Do they work with an e-mail address? Can I send an order and they can confirm and I go to pick the parts? Hello, my e-mail address is Kiusro@gmail.com, I have updated my list for parts I need, can I upload the list somewhere? Do you have an international meeting ( I don't know Hungarian :(... )? Give an e-mail for you. 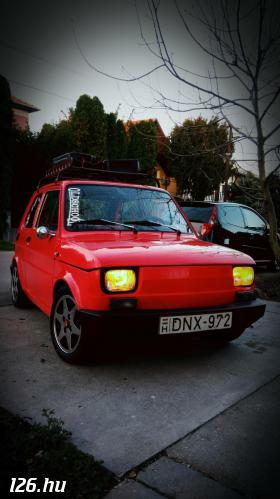 Hello, I need some parts for my Fiat 126p, the nearest shop is in Szeghed but they do not have a webpage, do you know if they have an e-mail address? i want to order the parts and arrange a day to pick them up, if they do not ship to Timisoara Romania. Thank you. As far I know, 24-26 May there will be a Fiat 126 fan's meeting in Jicin, Czech Republic. If I remember well you have a big meeting on 24/25/26 - 5 - 2013. Some people in Holland are asking me if I know more. Could someone send me an email about the event? 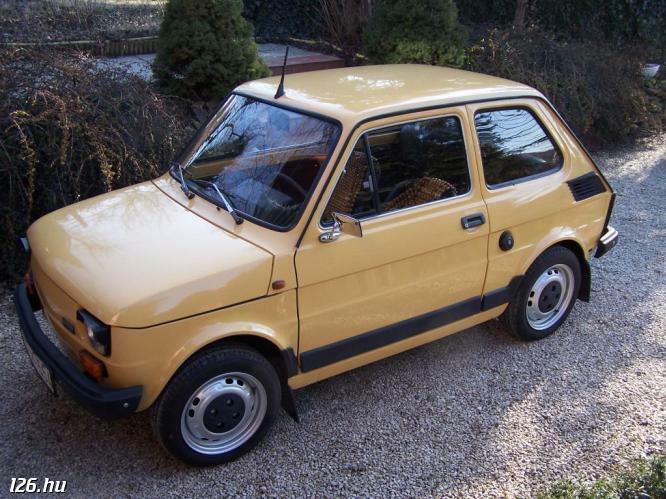 Place, date, cost, etc, so I can place it on our forum www.fiat126.nl? By the way, will anybody join this event in Bielsko Biela from here? We would also need some information about prices, accomodation etc. I am sure that quite a few cars will go from Hungary if such details will be acceptable. Wow, it sounds great. When will the sign up close? Any limitations? Persons, cars, passengers? 08.06.2013 An event in Bielsko Bia³a &#8211; visiting of the old factory FSM in Bielsko B, the current engine factory + an event in the city center. 09.06.2013 Drive from Bielsko Biala to the Auto Poland Factory in Tychy and sightseeing. Usualy participants that come from far have to arrive a day earlier (07.06.2013). I will try to find a suitable place to rest for everyone. In the meantime www site is going to be established. People who are interested in participating please declare for the participation in the event. Declaration is not binding and its objective is to estimate the number of people that are interested in participating in the gathering. Thought i'd liven up this thread and introduce myself I'm a member of the club126.co.uk forum for 3 years now and decided to pop over here to have a look. I also have a few bits to sell and thought i'd list them here as i'd have a better chance of selling them locally. Sorry it's been so long. I have been caught up in life and work. I managed to find seats locally but you can have my old ones for free if you want. You'll just have to come to Papa to get them. Also I'd still like too trade my sport exhaust for a stock. If your ever in Papa email me (dhamilton1974@gmail.com , and we can make the trade. PM sent also will gt in contact over the weekend. OK! Let's talk about it! We are so near that we could even meet somewhere if you have some free time. I'ill write you a PM to get in contact. Yeah I'm definitely interested. Are you wanting to trade or sale? If sale; how much? Thanks, the only other thing I can think of at the moment is I'd like to swap my sport exhaust for a stock one. I have the original, old, low back seats. I have it in pair. They are not it outstanding condition, but they are fairly OK. They are 21 years old, and I can give you a pair of seatcovers made especially for these seats. The covers are blue. Tell me, if you're interested. Thanks, I looked at the blue ones already but I don't really want the sport seats. What kind do you have? The old one could be welded and easily repaired but I have the sport seats and I really would like to replace them with the stock low back seats. I looked all through Peter's parts when I bought the car, he didn't have any spare seats but he does have the stock exhaust that I'd like to get from him. Anyone interested in a trade? Sport seats for Factory low backs... The drivers seat frame has cracked but could be welded and the passenger seat is in great working condition. And what about welding the old one? Or does it looks too worn? Factory seats are not a rarity, therey can be often found at classifications section of this page. I'll keep my eye open and send a PM if I see one. Or you can buy any kind of front seats that is not too wide to apply in the car, but than you have to work on the rails by yourself. If you come to our next meeting in december in Budapest, I can give it to you then. LMAO, well I appreciate his trying. I know I've tried using google translate to speak Hungarian and it left me sounding stupid. Honestly I'd like to find a good set of the old style lowback seats but all I can find are the tall sport seats. 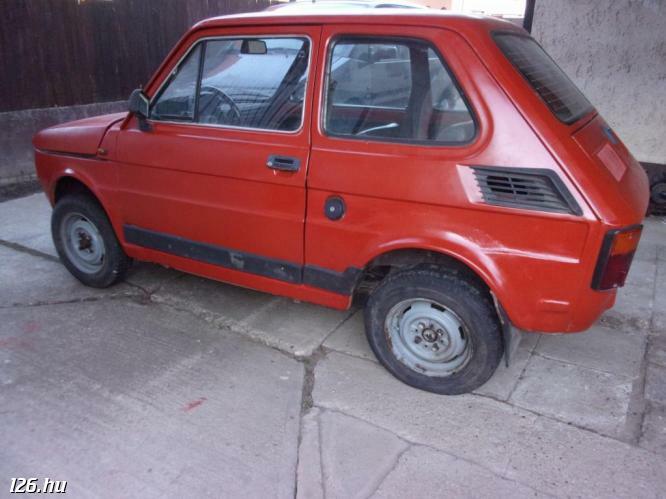 I think he wanted to say that you should use seats from similar types of vehicles: like Fiat 126 BIS or 127. As - I suppose - he thinks they may give more comfort and it should not be such a big issue to apply them. Personally I'm quite new to this group so I don't know. Some say the old Suzuki Swift seats can also be easily modified to fit. Of course they are a lot better in comfort and in safety than the original ones. I'm sorry but I don't quite understand. Are you saying seats from any Fiat will fit? There is a little village near of Pápa: Gyarmat. In Gyarmat is a shop with used cars, and of course with Polski Fiat. It isn't new part, but good. Do any of you know of a good place to get new front seats? My drivers seat is broken and I desperately need a replacement. I will be here for at least 2 years.